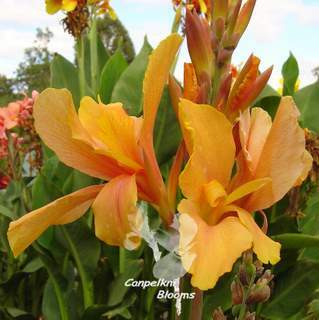 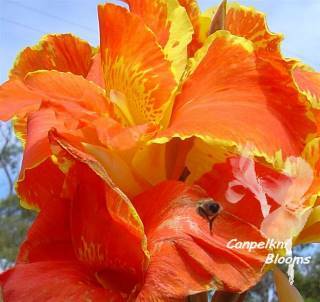 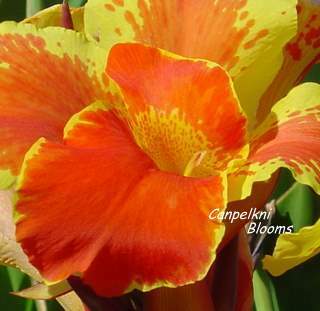 Colourful Cannas with orange flowers I grow come in a range of different sized blooms. 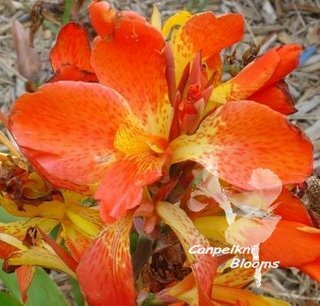 Their flowers range from true orange to deep dark orange and soft apricot shades. 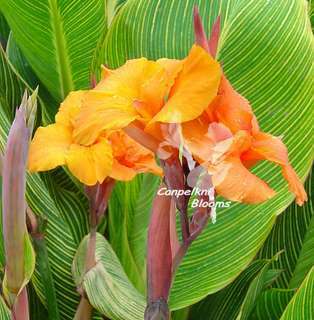 Some are orange cannas are solid with a block of colour while others are bi coloured and blotched generally with an uneven overlapping second colouring. 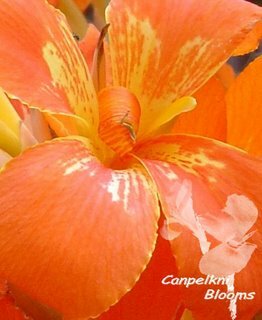 Orange cannas are also available with each staminodes bordered and trimmed with another colour on its edge. 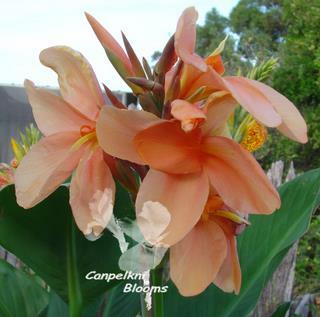 Most of the orange Cannas I grow have flowers in the one solid colour, and they are available with green, brown shaded and variegated foliage. 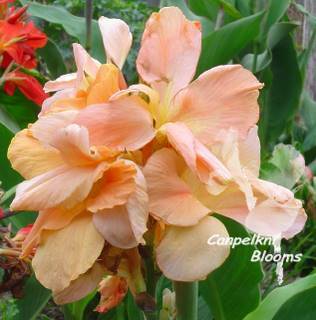 Some of the orange cannas listed start off an orange tone and finish up pink.